In a bid to shed light on the often overlooked Muslim contribution to the history of science, long-term trustee and supporter of Foundation for Science (FSTC), Technology and Civilisation, Professor Jim al-Khalili, presented the 2014 Voltaire Lecture based on ‘Lessons from the past: science and rationalism in medieval Islam’, Tuesday, April 15th 2014. In a bid to shed light on the often overlooked Muslim contribution to the history of science, long-term trustee and supporter of Foundation for Science, Technology and Civilisation (FSTC), Professor Jim al-Khalili, presented the 2014 Voltaire Lecture based on ‘Lessons from the past: science and rationalism in medieval Islam’, Tuesday, April 15th 2014. 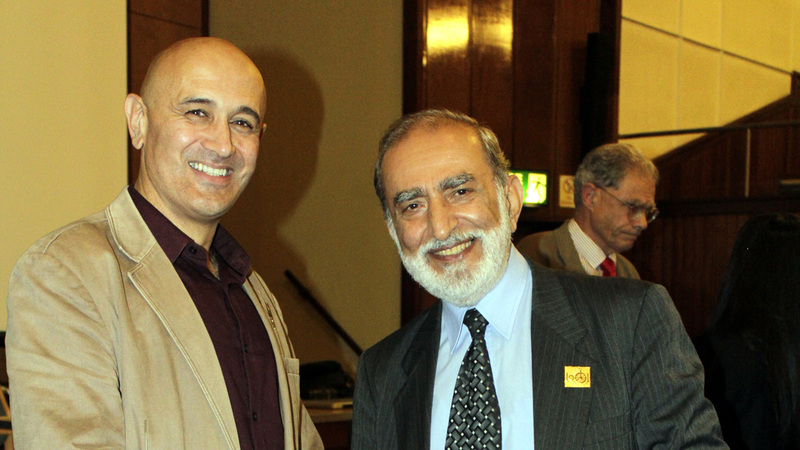 Professor Jim al-Khalili, a British theoretical nuclear physicist, professor at University of Surrey, and academic author and broadcaster, took the audience on a journey of the golden age of science in the Muslim world dating from the 7th to 17th century. From the irreplaceable contributions made by polymaths such as Ibn al-Haytham to other scientists who flourished within and without Baghdad’s celebrated Bayt al-Hikma (The House of Wisdom), Professor Jim al-Khalili did not fail to captivate the audience’s attention. Although scientists prospered during these 1000 years of scientific, technological and civilisational advances, Professor Jim al-Khalili set out to look at why the Muslim world today produces so few scientists in comparison. However, he concluded on a positive reflection that scientists in the contemporary Muslim world, though not as abundant as they once were, are once again beginning to thrive, albeit, in isolated bubbles of academia. 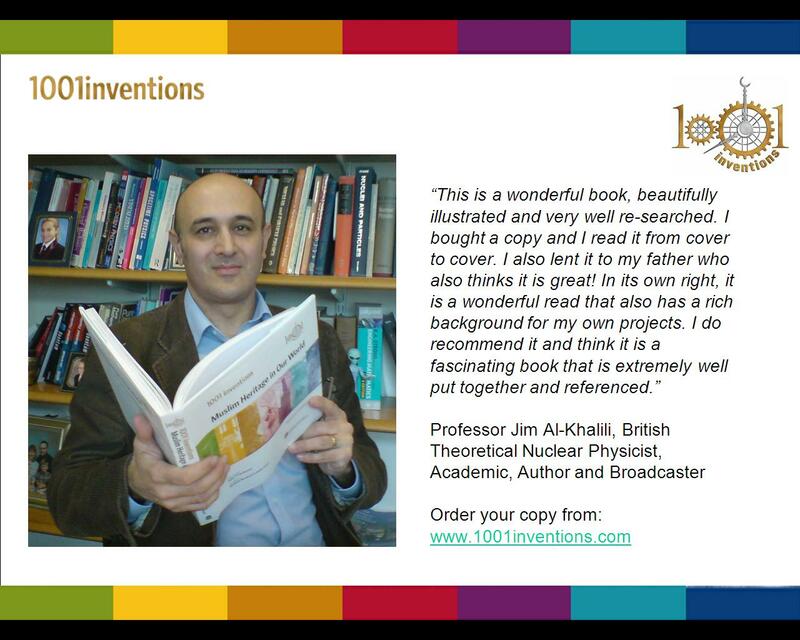 “1001 Inventions: Muslim Heritage in Our World” (Source). For more information about this lecture, please visit the BHA website.